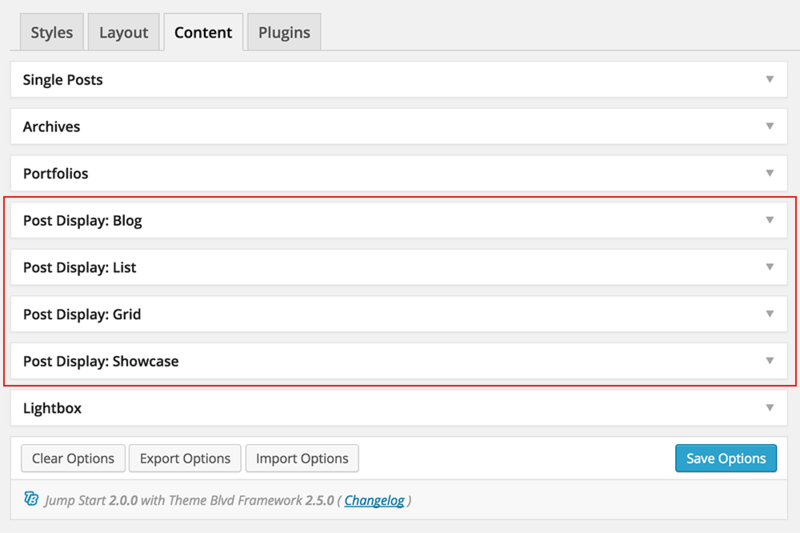 With your theme, shortcodes plugin and layout builder plugin, you'll find there are several ways posts can be outputted. 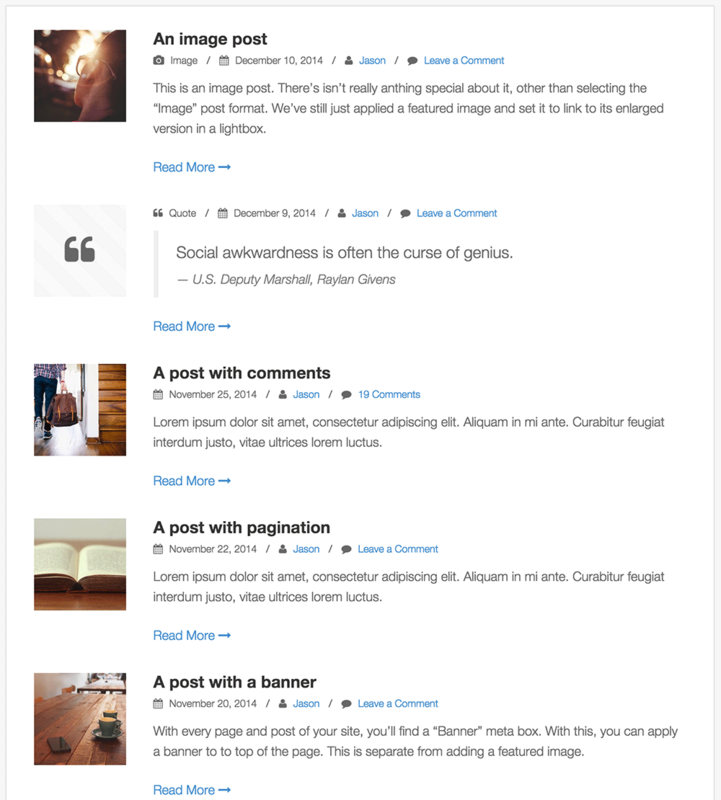 And through all of this, there are four styles your theme can display those posts with. For more information about implementing the various post dislay styles to your default blogroll and archives, see the article, Archive Options. Furthermore, if you're looking to display a set of posts within the content of a page, you have a few options. When creating a custom layout with our layout builder plugin, you'll find corresponding elements for each post display type, which you can add to the layout or template you're working on. And finally, if you're looking to avoid using the layout builder and shortcodes, you can simply apply of one of the corresponding page templates. 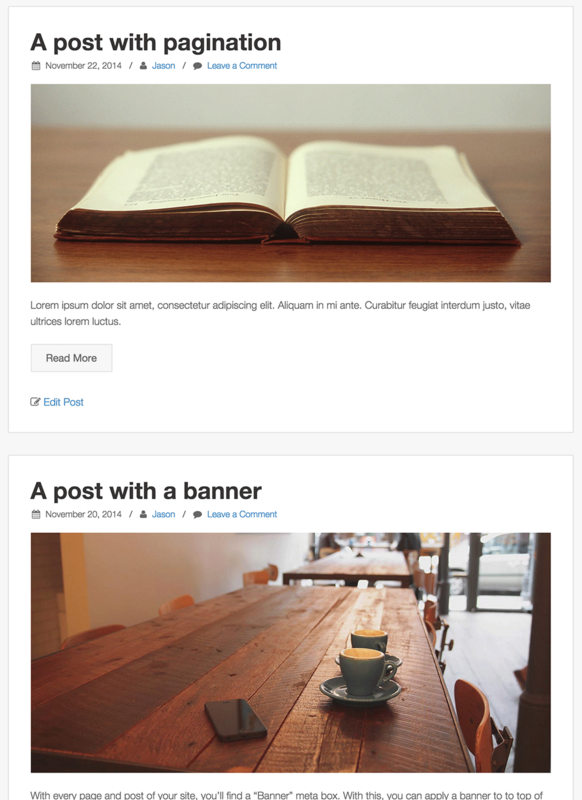 On your theme options page, you'll find a corresponding section for each of these post display styles. This is where you can set the default options for when one of these styles is applied to a set of posts. Here are some screenshots of what the various post display styles look like, so you have a better idea of what you're working with. Note: These post display styles may not look exactly the same in every theme. They may have different designs, different items and different options associated with the particular theme's post display styles.